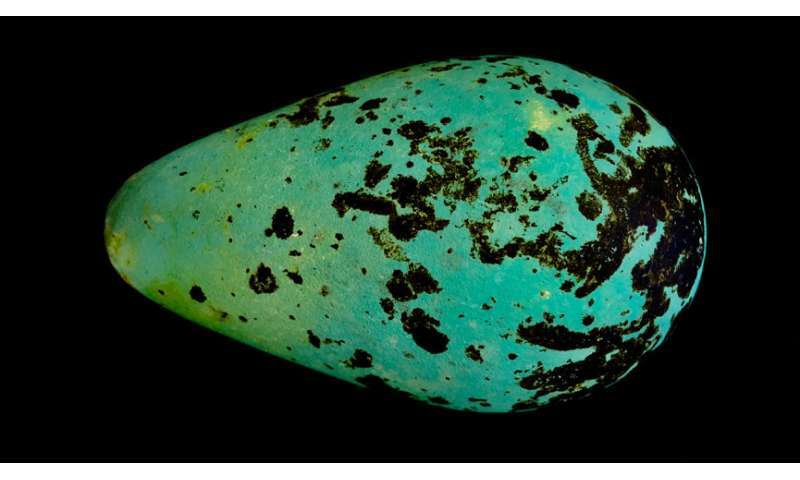 A centuries-old mystery behind the shape of a bird's egg has been solved by scientists at the University of Sheffield as part of one of the longest-running scientific studies of its kind. The study, led by Professor Tim Birkhead from the University's Department of Animal and Plant Sciences, has discovered the reason why guillemot eggs have such a peculiar shape – a mystery that has been puzzling biologists for hundreds of years. However, Professor Birkhead, who has been studying the behaviour of guillemots, puffins and razorbills on Skomer Island in Wales for almost 50 years, has discovered that the egg's shape has evolved in order to keep the egg in place and prevent it from rolling away in the first place. 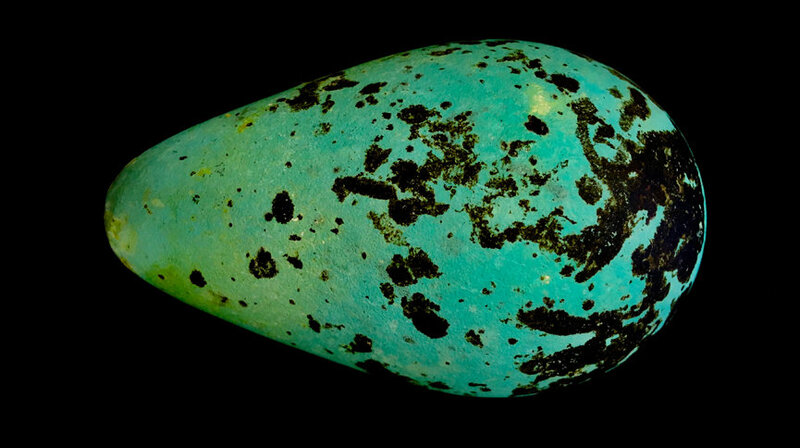 The guillemot egg is widely considered as one of the most beautiful and extraordinary eggs in the avian world. Historically, egg collectors, who at Bempton on the Yorkshire coast were known as climmers, used to scale Britain's cliffs in search of some of the most unusually coloured guillemot eggs and sell them onto museums and wealthy businessmen for their collections. Egg collecting is now banned in the UK. This new study published in Auk: Ornithological Advances, dispels the widely held belief that the pointed shape of guillemot eggs has evolved to allow the egg to roll in an arc, and shows instead that guillemot eggs are inherently more stable on the sloping ledges that guillemots often breed on. Professor Birkhead said: "Guillemots are one of the most fascinating species of birds that we have in the UK, however they are often overshadowed by their neighbour, the puffin. This is mostly because people love the way puffins look, but in terms of behaviour, guillemots are much more interesting for nature enthusiasts to watch. "Apart from looking cute, Puffins don't really do much at the colony. In contrast, watching guillemots is like watching nature's very own soap opera: a never-ending mix of marital affection, infidelity and strife. And, in terms of keeping a health check on the oceans, you can't beat guillemots since we can survey their numbers, survival and breeding success more easily accurately than almost any other seabird. "Guillemot eggs are a fascinating part of nature, so it's very exciting to feel that we might finally have figured out why guillemot eggs are the shape they are." Aside from guillemot eggs, Professor Birkhead's studies on Skomer Island have revealed fascinating and unprecedented insights into the ecology and behaviour of the 300,000 pairs of nesting seabirds in the region, such as how their populations have been affected by climate change. A recent study found that tens of thousands of birds—mainly guillemots and puffins—have been killed by the increasing number of storms to hit the area. The Sheffield scientist, who has become one of the most renowned seabird experts in the UK, is due to retire later this year and is now looking to hand his 50-year research programme to the next generation of scientists in order to continue the vital monitoring of seabirds and how they are affected by climate change and other changes in the marine environment. However, due to cuts by the Welsh Government to the project's funding, Professor Birkhead's 50 years of monitoring are in danger of being lost forever. He added: "Across the world seabird populations are in decline due to plastic, over-fishing and climate change. The careful monitoring of seabird numbers is essential, not only for the birds but because it also provides a health-check on the oceans. It is vital." A fundraising campaign has now been launched to help secure the future of the research so a new cohort of zoologists can lead the project. Why do guillemot chicks leap from the nest before they can fly?